Data center space is no longer an issue with the LightWave MTP-LC, Singlemode OS2, 12-Strand Fiber Optic Cable. With each MTP brand MPO-style connector containing 12 fibers, and at a size smaller than most of today’s standard duplex connections, all your limited space concerns are alleviated. Not only is space conservation a benefit, but an MTP brand connector provides a significant reduction in return loss from other standard connectors. 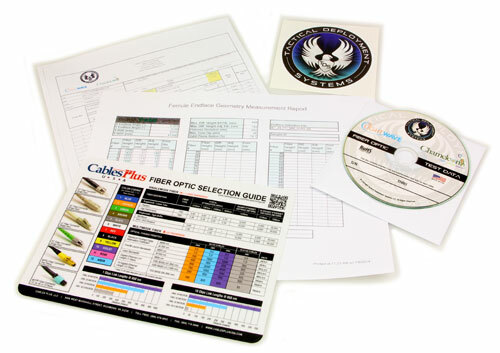 This makes for extremely reliable performance no matter what your data center or telecommunications demands may be. 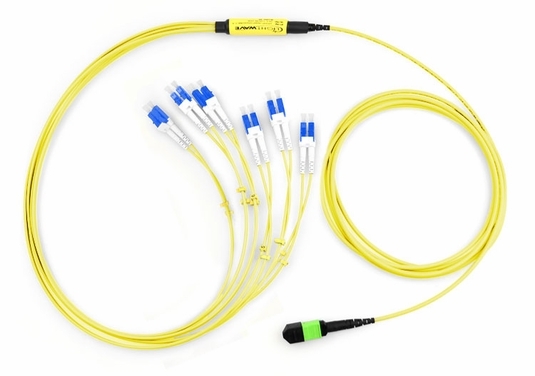 This cable features a single female MTP brand MPO-style connector on one end, with a 3-foot breakout to 12 LC connectors in duplex configuration on the other end to provide you with superfast data transmission over a 9/125 micron glass fiber 1Gbps link a distance of up to 10,000 meters at a wavelength of 1310nm. For a 10Gbps link, you can transfer data a distance of up to 5,000 meters at 1310nm or up to 30,000 meters at 1550nm. 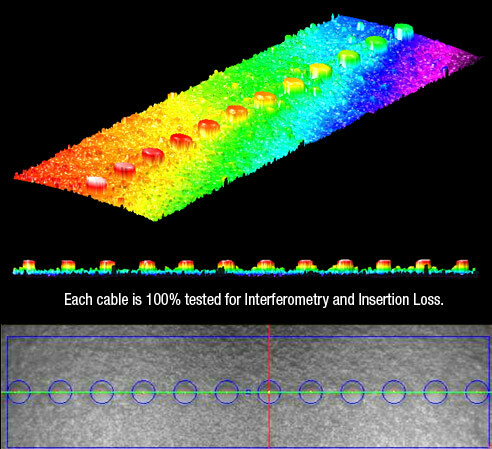 LightWave MTP-LC fiber optic cables are manufactured at our Richmond, VA facility, and are tested for interferometry and insertion loss to ensure quality. MTP brand connectors are the easy choice over standard MPO style connectors with an array of features that help the MTP® connector stand apart from the rest. With patented guide pin tips and ferrule float, the MTP brand connector aims to reduce wear while improving the performance of your fiber optic cable. MTP® is a registered trademark of US Conec Ltd.